Our hallway makeover continues today! 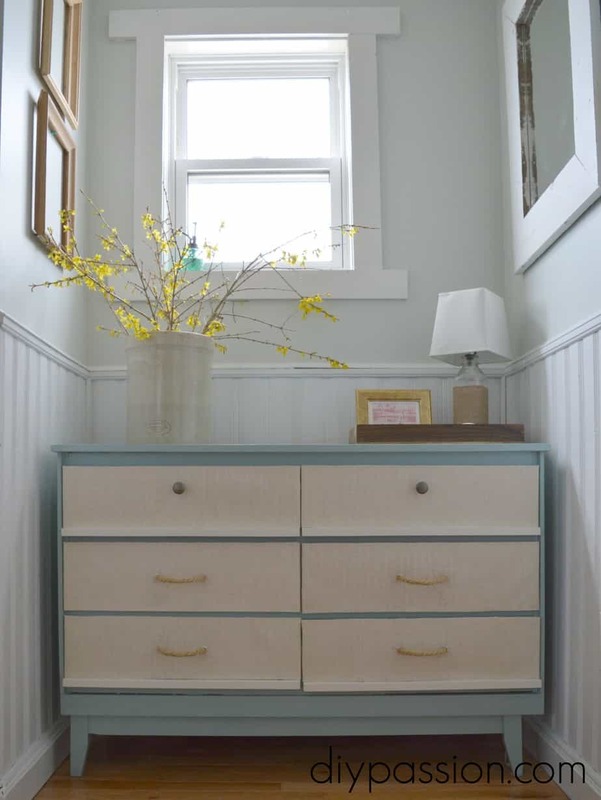 It feels silly to say that because the hallway is such a small space, but there really are quite a few things that one can do to make over a hallway – and we still aren’t even really done. 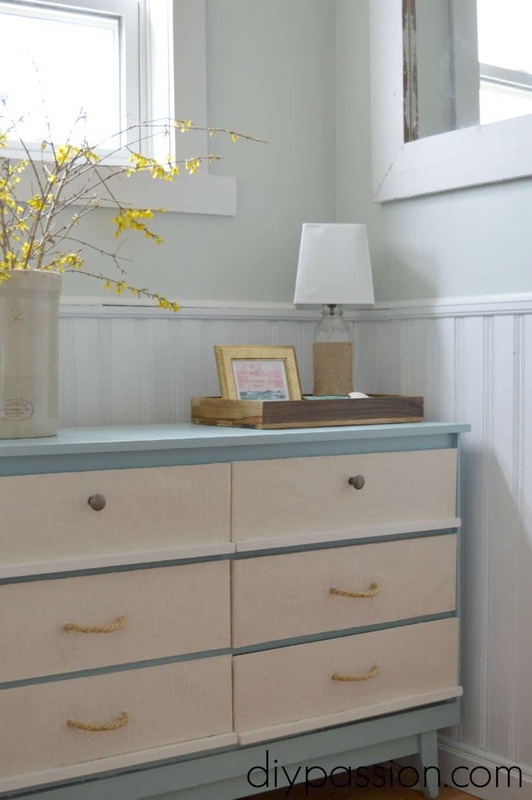 Today, I’m showing you how I made over a thrifted dresser with this modern nautical dresser makeover. First things first, I had to remove the hardware and pry off the badly glued ‘trim’ work. 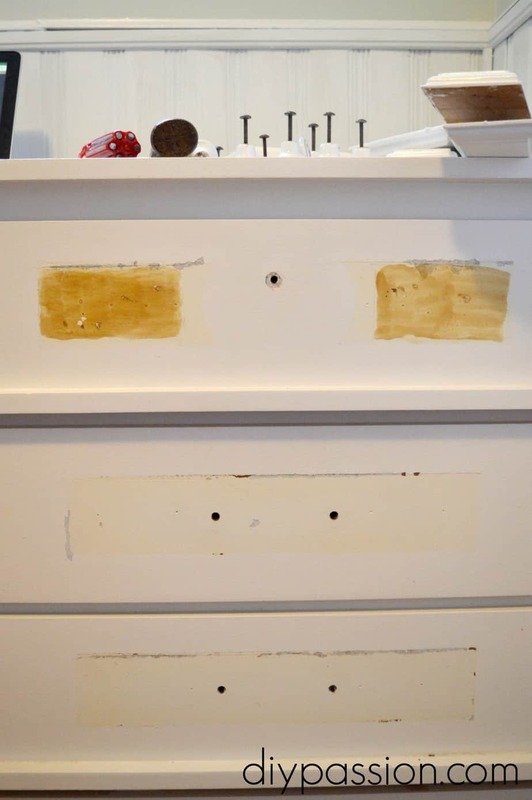 I didn’t get a clear shot of the damaged drawers the first time, so I made sure to get one this time. See? Awful. While I let my brain percolate on how I was going to deal with the drawers, I set to painting up the body of the dresser. I always ALWAYS start with stain blocking primer applied with a large foam brush when a piece is as damaged as this one. I actually put it to a vote on our social media channels! 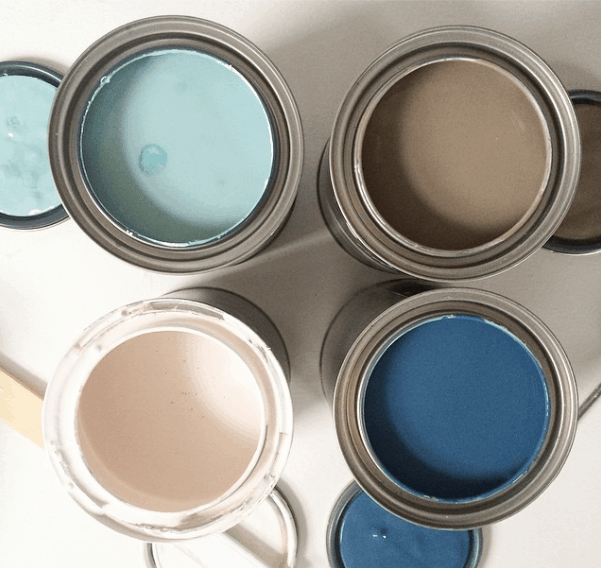 I couldn’t decide among these gorgeous colours from PARA Paints. We do have plans to use each of these colours in a project, but I couldn’t pick which one to use here. Well, you the readers spoke! And I went with Manitou Blue 2, which is a shade darker than the walls in our blog office. Then I had to deal with the dang drawers. I wanted to keep with the nautical vibe. 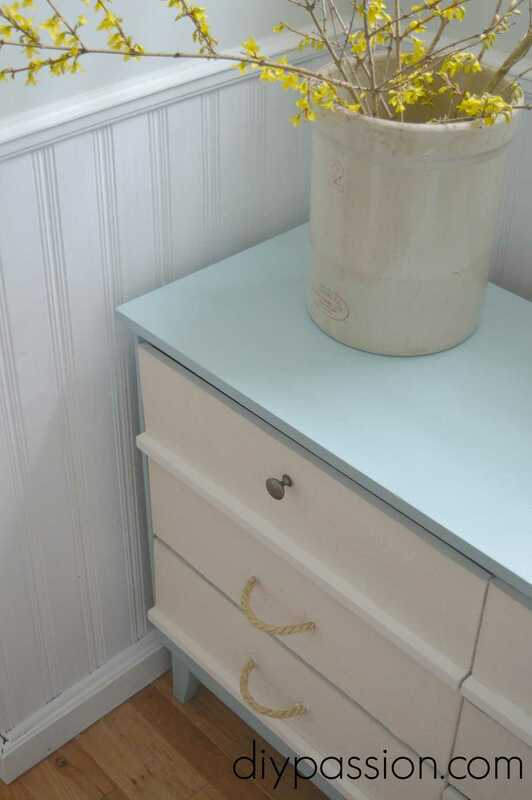 I’ve been obsessed with texture lately, especially after adding the textured paper to the purple lion dresser. But I wanted to try something different for this one. So off to the craft store I went and I came home with cream colour, laminated burlap. At first I was going to use decoupage medium, but it just wasn’t strong enough to adhere to the laminated burlap. I ended up using hot glue to attach it to the drawer fronts. At which point, I realized I hadn’t even considered what I was going to do for hardware! I decided I didn’t want to drill new holes in my drawer fronts. So I worked with what was there. I added simple brushed nickel pulls to the top two drawers. 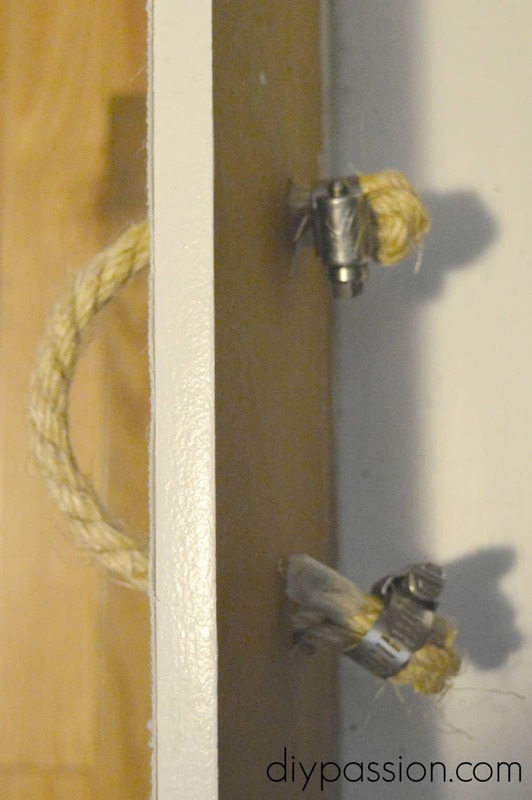 And then for the rest….I settled on – rope. Yep. Rope. Cheap as cheap can be. And I lurve it. I filled this piece with the linen for the three beds upstairs and some extras. It freed up boat loads of space in our actual linen cupboard. At some point, I’ll turn my attention to that space, but since it has a door on it – meh. 🙂 No one can see how messy it is! This little nook is now more or less complete with our DIY glass bottle lamp and a few other fun accessories. I’m actually pleased as punch to announce this little area is chock full of DIY decor AND cost us less than $100 to do (including the cost of the dresser!!) 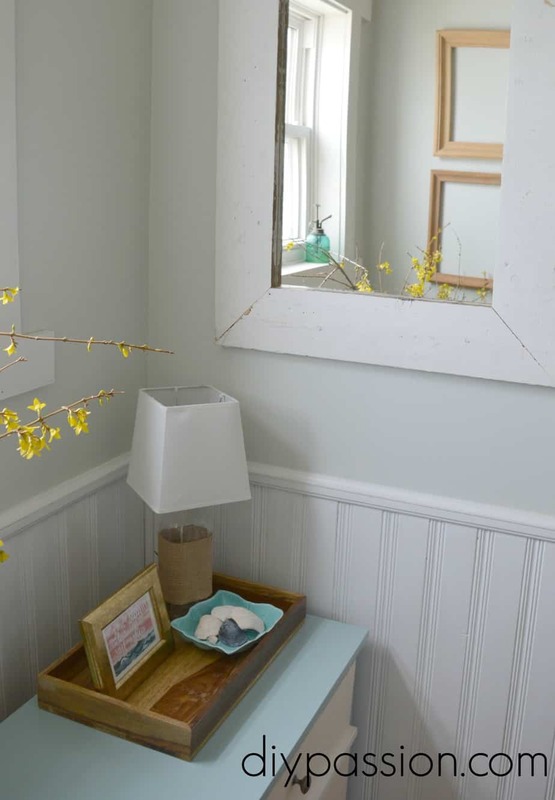 DIY decorating does not have to be expensive! *We are members of the 2015 PARA Paints Blog Crew. We get paint from them to do our projects, but our opinions. DIY Passion Podcast #1: What is DIY Passion anyway? I’m seriously in love with this dresser. 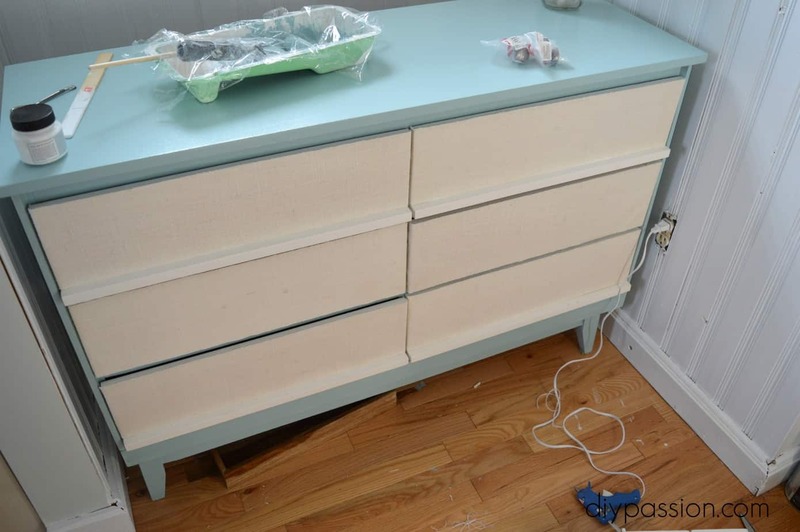 The colors you chose and the texture on the drawer fronts. And of course those rope pulls! Thanks so much for the shout out. You’re the sweetest :).